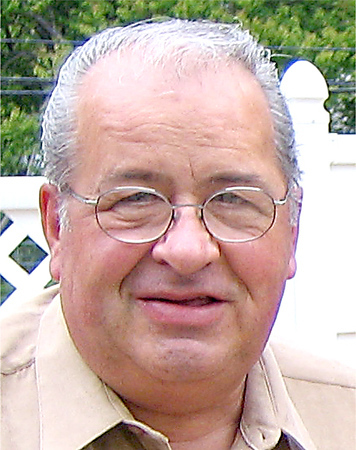 Rosaire Gaignard, 77, of Plainville, passed away with his family by his side on Friday, Oct. 26, 2018. He was the beloved husband of Claudette (Carrier) Gaignard, with whom he celebrated 50 years of love and life adventures. Born in Woburn, Canada, on Aug. 15, 1941, he was one of five children to the late Joseph and Patricia (Audet) Gaignard. He and Claudette were childhood sweethearts, meeting in the small village of Lac-Magentic, Canada, and moved to the U.S. shortly after their marriage, settling in Plainville. They proudly became U.S. Citizens in 2004. Having mastered the art of sheet-rocking and taping, Rosaire was the owner and operator of C & G Drywall and was known as a true perfectionist in his trade; in addition to being a grammarian with excellent accounting skills. Remembered for his sense of humor and endless stories, he enjoyed the simple things in life; a good seafood dinner with his family, a competitive game of cards, or relaxing to Jazz on Sundays. He leaves his family with countless cherished memories and will be greatly missed. In addition to his wife, Claudette, he leaves his son and daughter-in-law, David and Meghan Gaignard of Avon, and was the adored Pépère to Alexander and Koryne. He is also survived by his brothers, Julian Gaignard of Toronto, and Raymond Gaignard of Augusta, Maine, his sister, Yolande Gaignard of Montreal; and many close family members, and friends. He was predeceased by his brother, Herve. Posted in New Britain Herald, on Friday, 26 October 2018 18:50. Updated: Friday, 26 October 2018 18:52.